Edmond de Goncourt portrayed in an 1882 etching by French artist Félix Braquemond. National Gallery of Art, Washington, Gift of Mrs. Lessing J. Rosenwald, 1987. "I have often said to myself that if I were not a man of letters, if I had not got money, my chosen profession would have been to invent interiors for rich people. I should have loved being allowed to have given me carte blanche to work out the decor and furniture of a palace with just four walls, using what I could find from dealers, artists, modern industry, and in my own head." 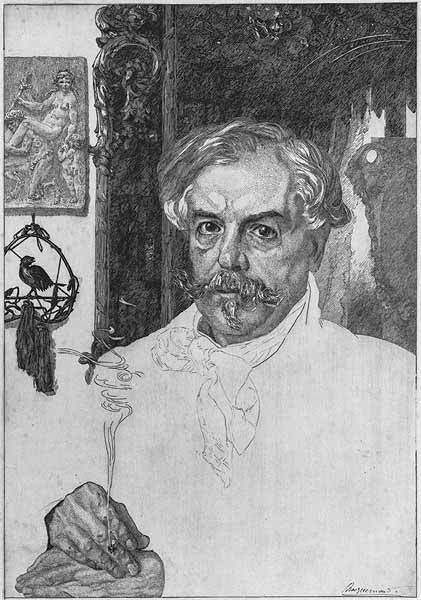 So said Edmond de Goncourt (1822—1896), French man of letters and diarist extraordinaire. Are you back? We missed you so! I love the literary aspect of this blog. Based on your recommendations I recently read "The Volcano Lover" as well as the biography of Stephen Tennant. Both excellent. 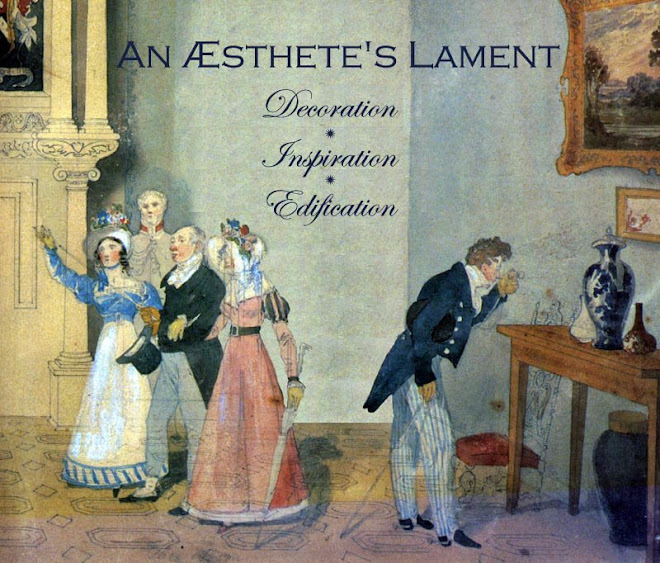 To read about people who devoted their lives to beauty, whether or not successful in the traditional sense, is always fascinating. Welcome back! Please stay-- your fans miss you so much! I'm afraid I 'm the sort of girl who just wants to choose other people's curtains,pictures, furniture but not have to worry about organising it all. What a delight to find you back, pointing out wonders and feeding us choice tidbits designed to inspire! PS, I am starting the Lees-Milne bio next. It looks really good. Welcome back. Please stay!! He describes my job! And I do love it!! ps sometimes I have a budget. boo.